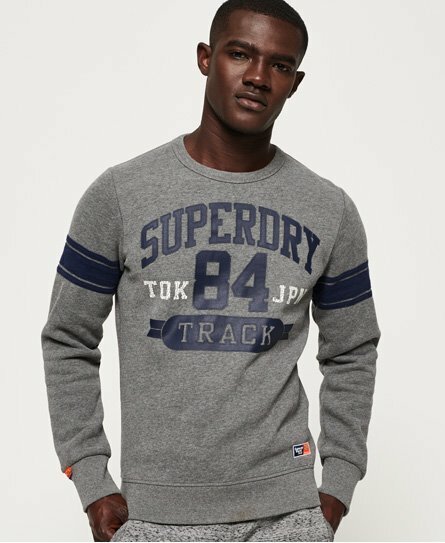 Superdry men’s Track & Field sweatshirt. This sweatshirt features a Superdry Track logo across the chest, a crew neckline and stripes along each sleeve. This sweatshirt has been finished with a Superdry patch above the hem and ribbed cuffs and hem.